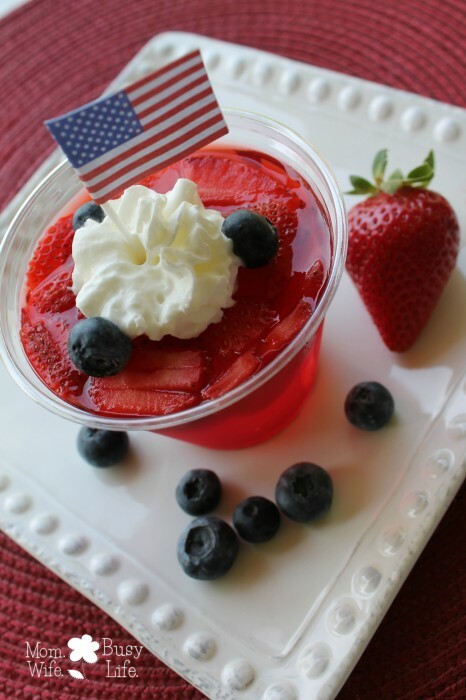 Red, White, and Blue Jello Cups - Mom. Wife. Busy Life. Summer is the season for fun in the sun, but it’s also the season to remember and celebrate important holidays including Memorial Day and Independence Day. 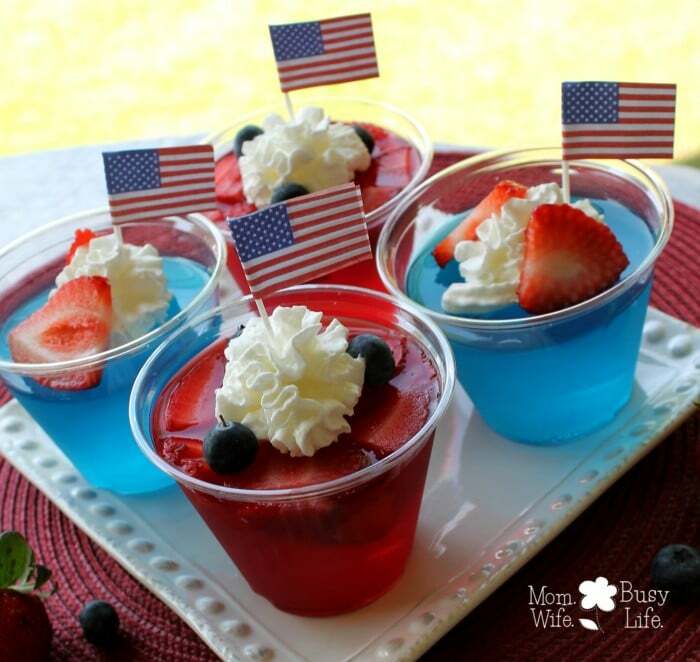 This summer, celebrate in style at your holiday gathering by serving these red, white, and blue Jello cups! These Jello cups are perfect for both adults and kids to enjoy and are a refreshing treat during the hot summer days! They are super easy to make, even the kids can help! Follow the instructions on each Jello box to make the Jello. Pour Jello into clear plastic cups. Slice several strawberries and place them in the red Jello cups. I recommend using this strawberry slicer. Place the cups into the refrigerator for a few hours to chill. Before serving, top with whipped cream, blueberries, and strawberries. Add an American flag toothpick in the middle for decoration!